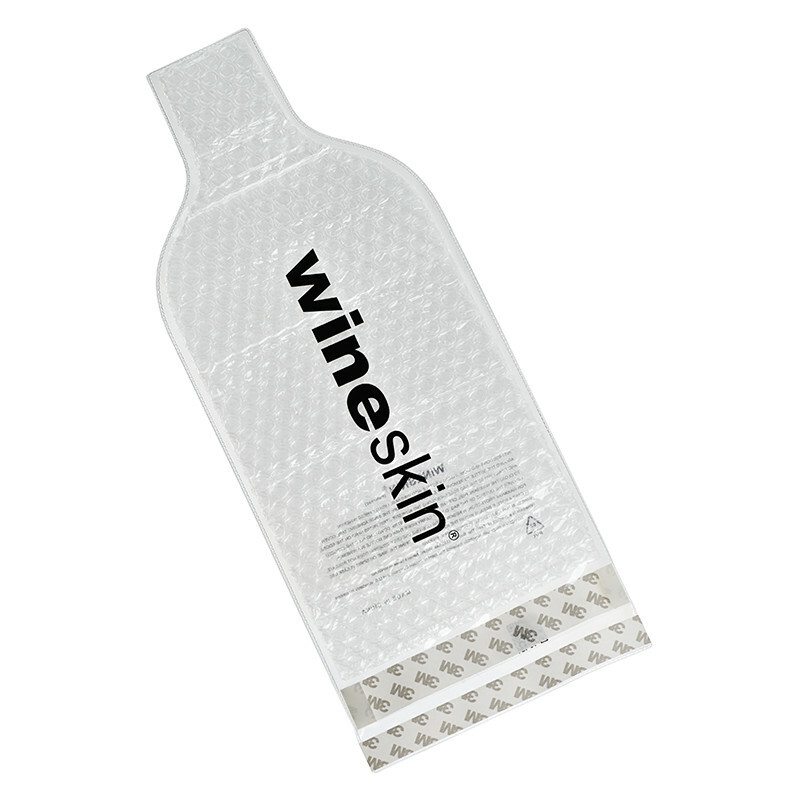 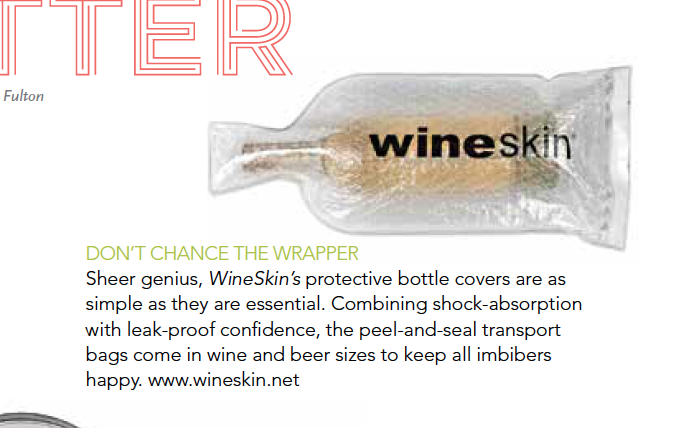 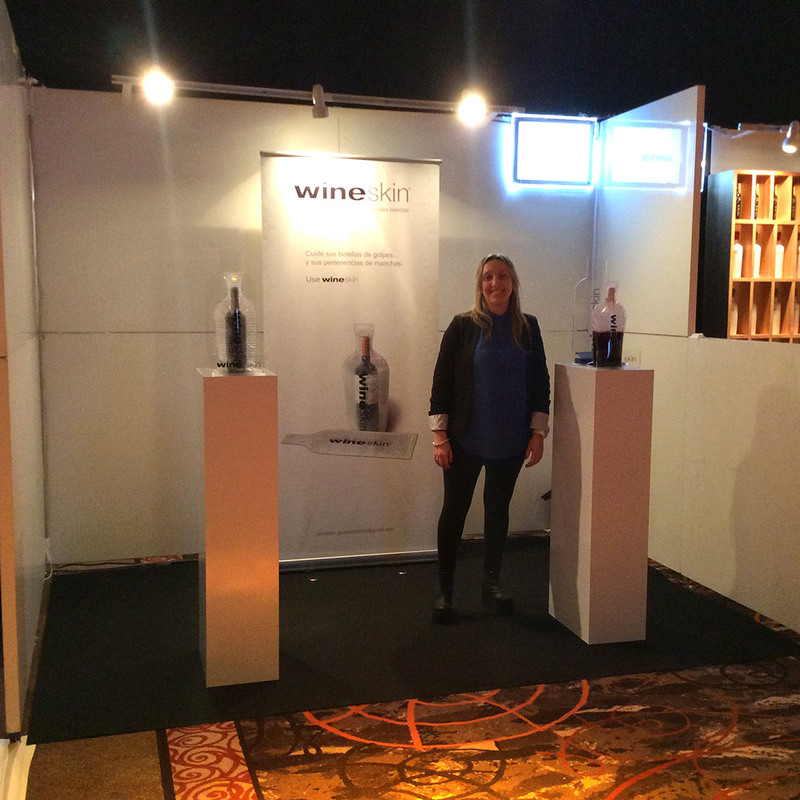 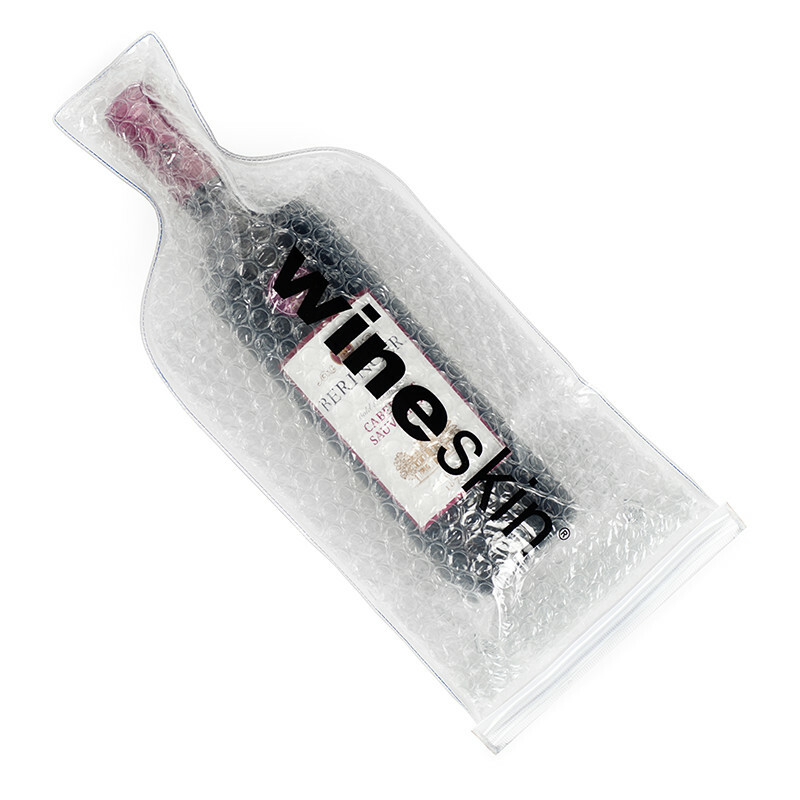 RealLife Magazine recently published a review of WineSkin: Sheer genius, WineSkin protective bottle covers are as simple as they are essential. 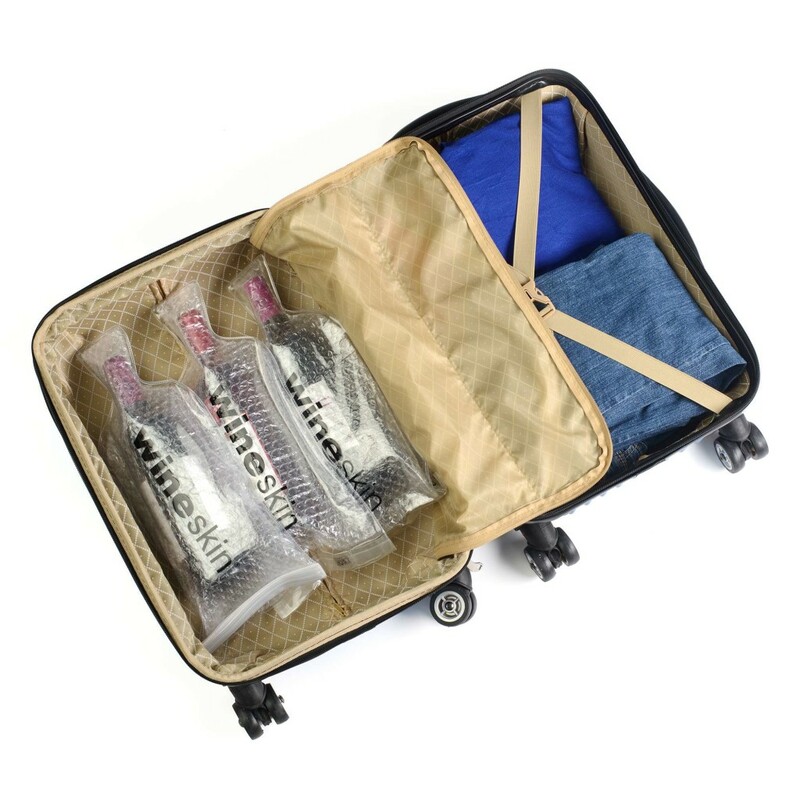 Combining shock absorption with leak-proof confidence, the peel-and-seal transport bags come in wine and beer sizes to keep all imbibers happy. 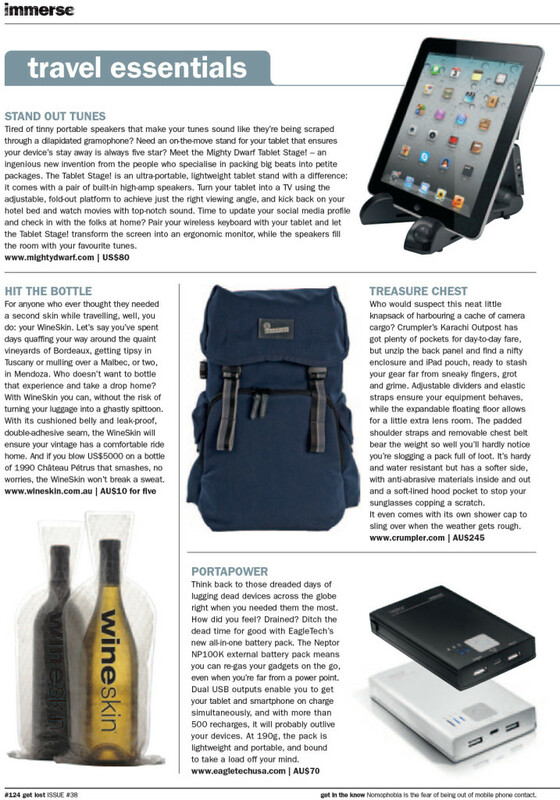 Click here to download a PDF of the coverage. 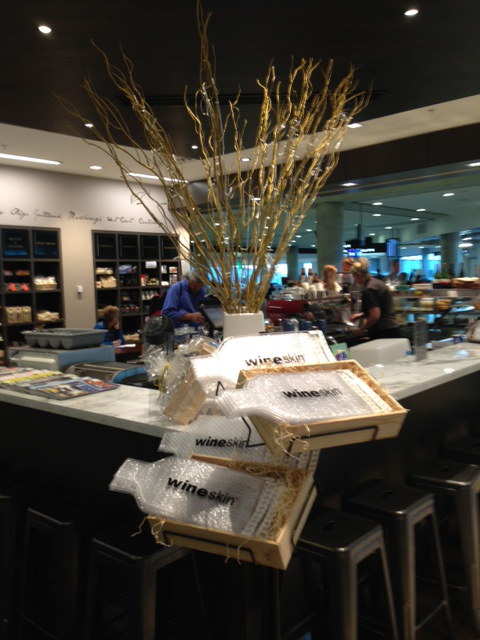 We’re pleased to show off this image taken yesterday at the Christchurch, New Zealand, airport, where WineSkin is now available to travelers and their precious cargo.